Pop Up Shops join Winter Lights on Nov. 17. Wyckwood House Market will be at Metropolitan Coworking, 14 W. Downer Pl. Ste. 16. Aurora Downtown, a non-profit of downtown business and property owners in Special Service Area #One, is curating Pop Up Shops to coincide with the city’s Winter Lights festivities. All Spoked Up, 14 W. Downer Pl. Ste. 12, hosts Wheatley Design, a graphic design business selling cards, posters, and more; and Just Devine Foods, a canning and pickling company. If These Walls Could Talk, 32 S. Stolp Ave., hosts Kryspykitty Kreations featuring repurposed jewelry and other accessories. Pure Skin Solutions, 26 S. Stolp Ave., hosts Thriftyupenyu featuring handmade African accessories, Aroma Roots Natural Bath and Body, and doTERRA Essential Oils. Do or Dye Designs, 24 S. Stolp Ave., hosts Frosted Fig with locally baked goods and Mamie’s Toffee. Metropolitan Coworking, 14 W. Downer Pl. Ste. 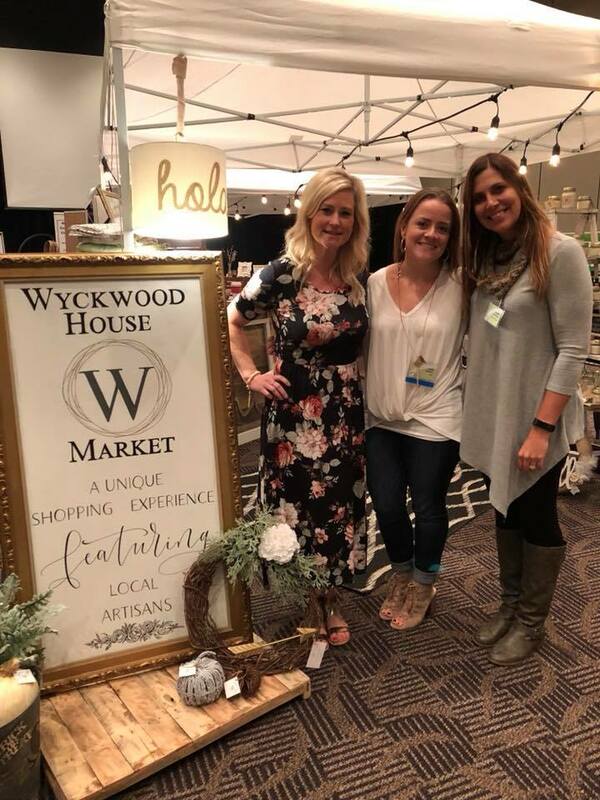 16, hosts Wyckwood House Holiday Market with a variety of local vendors featuring chic handmade home goods and more. Sergio Furniture, 36 W. Downer Pl., hosts Beans, Greens, and Proteins with oil-infused bracelets and necklaces along with holiday items. Leland Tower lobby, 7 S. Stolp Ave., hosts Usborne Books and Forever After Finds, ornaments and other handmade items. Gallery 1904, 1 E. Benton St., will be open with one-of-a-kind gifts, live music, a henna tattoo artist, face painting, kids crafts, baked goods for sale, and more. Winter Lights is an annual event organized by the city of Aurora’s Special Events office. The holiday festival features a holiday parade, food trucks, Santa and Mrs. Claus along with costumed characters, fireworks, and more. For more information, visit Aurora Downtown on Facebook.